This mountain is most easily accessed from the small road that exits left (sign Stalheim) just before the tunnels that descend down into the valley Nærøydalen. This is on the E-16 Hwy. running from Voss to Gudvangen. measure from this turn. Drive 1.3 kilometer to Stalheim hotel, continue and keep left (uphill) at kilometer 1.4, where the tourist road heads steeply downhill. Keep left again (uphill) and pay toll (NOK 50 in 2014) at the self service paystation (wooden box on the right hand side). At kilometer 4.3, turn right and cross the river on a narrow bridge. Continue up the valley to a roadfork at kilometer 8.0. The left fork is signed for Vikset, the right fork, which you should take, is signed for Haugane. Continue to kilometer 10.4, the highest point of the road, called Tverraldskaret, elevation 950 meter, location N60.89911, E006.67542. Park here, on the left, one may turn around a car here. Drive E-16 downhill from Stalheim (2 tunnels), after getting down to the valley floor, locate the sign (left) for Jordalen. This is a short distance down the valley. Turn left here. The small Jordalen community got a new (and safe) tunnel access that opened in 2016. This road (at a cost of more than one million USD per inhabitant), climbs inside the mountain Jordalsnuten. The road next crosses to the right hand side of the valley and runs by a farm on a local hilltop. Shortly thereafter, take a small road left, this road crosses the river. Find parking on the left near location N60.88147, E006.71792, elevation about 520 meter. From the trailhead, continue along the broad ridge running south. The route climbs two steps, the first one is fairly steep (at least when skiing in November), the next is a bit longer, but less steep. As you reach the first summit do not get fooled (as I was), continue gently downhill, then climb the next summit which holds the high point. 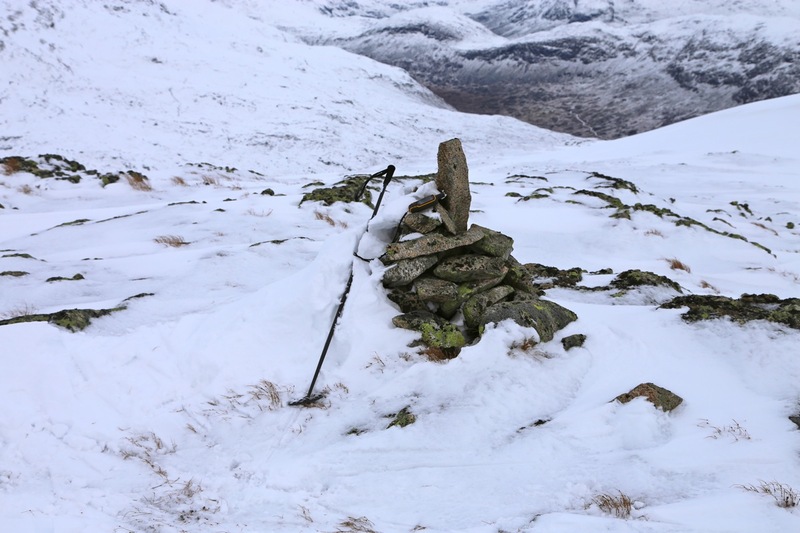 The cairn is a bit further south, but slightly lower. 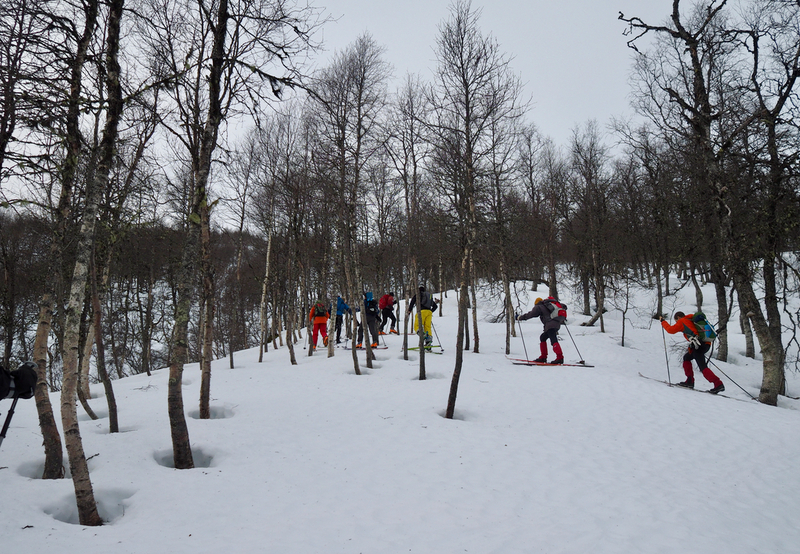 Ski up along the fields, then enter the birch forest where it is open and pretty skiable. You need to cross two creeks that run downhill in separate gullies. When you break out of the forest, ski to the right and turn the corner where the ridge comes down (left to right). Ski uphill along this ridge, then turn more right and climb a steeper section. This hill is only slightly less than 30 degrees steep. Continue uphill with a big gully on your left side until it may be turned without loss of elevation. Ski left along the top ridge to the summit. There is a cairn a few meter onwards, this is clearly lower. Trip on November 15. 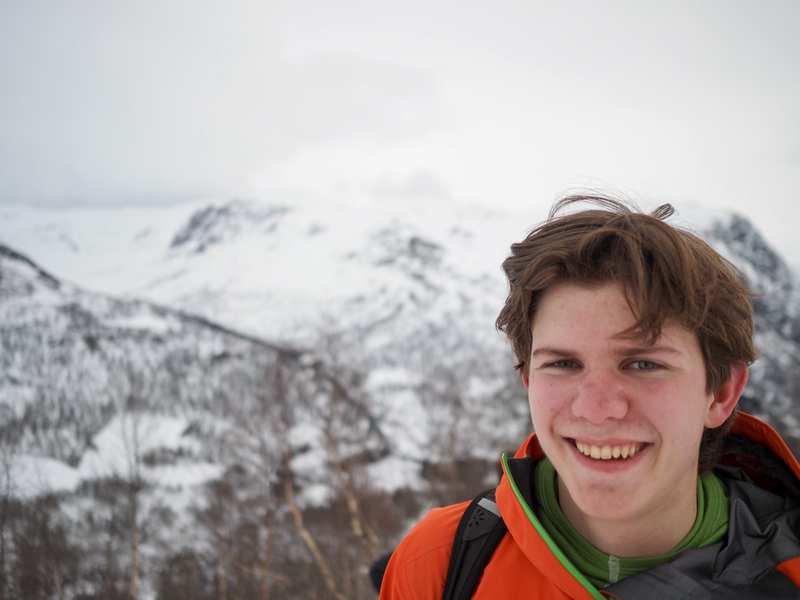 2014 We had a "Papua dinner" on Friday and my son Pål Jørgen needed to go to Voss Saturday morning. I decided to drive him, then do a peak somewhere there. I picked Vetlafjellet and the plan was to drive to the col just north of the mountain, a 950 meter pass described by Arnt Flatmo when he visited this mountain. I believed that there was little snow, but still took along a pair of skis in the car. Good choice, there was snow on the road already from about 550 meter. I followed the mountain road and the snow got deeper, but somebody had driven here, making a track. Higehr up, where (at elevation 760m) the road forks, with the left fork serving Vikset, my right fork had no signs of traffic. Big decision, could I drive any further? In fact the road would still gain almost 200 vertical meter before the col, Tverraldskaret. This worked well, and by 1115, I was parked at the col. I had forgotten to bring any ski wax, so the trip would be a bit slippery. I started out at 1120, the skiing was pretty straightforward and I arrived at "the summit" by 1240. I remembered from the map that a slightly lower section separated this summit from a somewhat lower summit further south. What I had not noticed, was the fact that the first summit I would reach was indeed not the highest one. 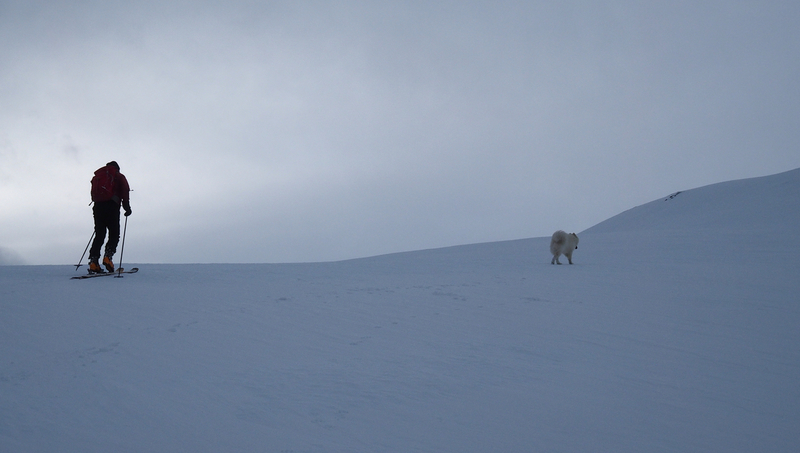 I stayed around until 1300, then skied back to the car, arriving at 1340. The fact that I did not ski across the last 400 meter to the summit, was indeed a pretty stupid mistake. It simply never occured to me that I was not at the highest point. I had looked at the map (obviously too briefly) before leaving Bergen. 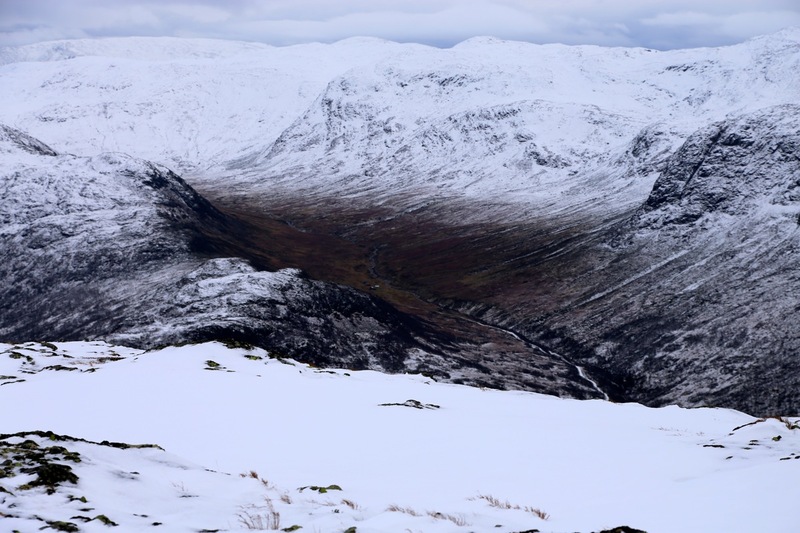 What I had noticed was that the summit was located north and that there was a lower mountain further south. What I had not noticed, was this false summit just at the top of the main hillside. It would have been absolutely trivial to climb this peak properly. 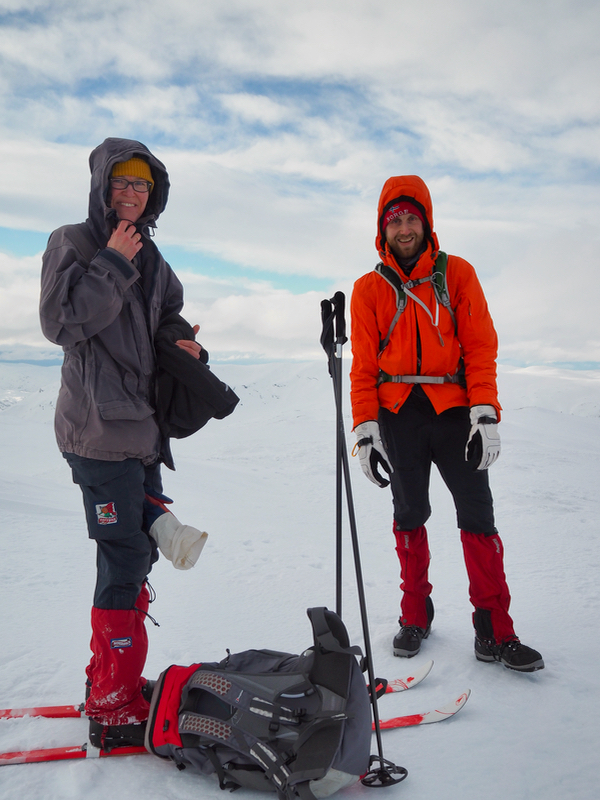 I organized this as a trip for the Bergen Mountaineering group (DNT Fjellsport). The interest was considerable as 14 people signed up, plus a waiting list. 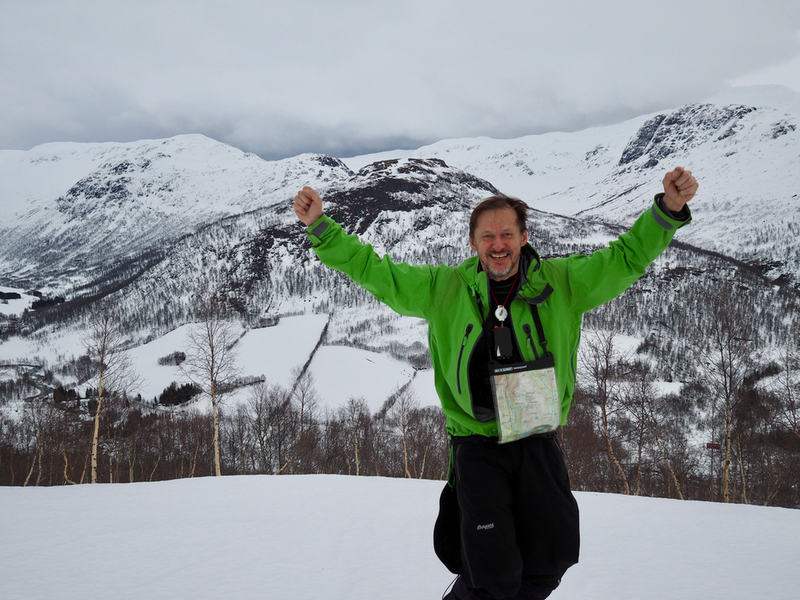 My friend Fredrik Brun would be trip co-leader. A few late cancellations and one participant stranded in the mountains due to bad weather reduced our number to a group of 10. We met in Bergen at 0800. With some minor delays and preparations, we left the cars at the trailhead around 1030. The skiing was pretty nice, but the forecasted new snow did not materialize. 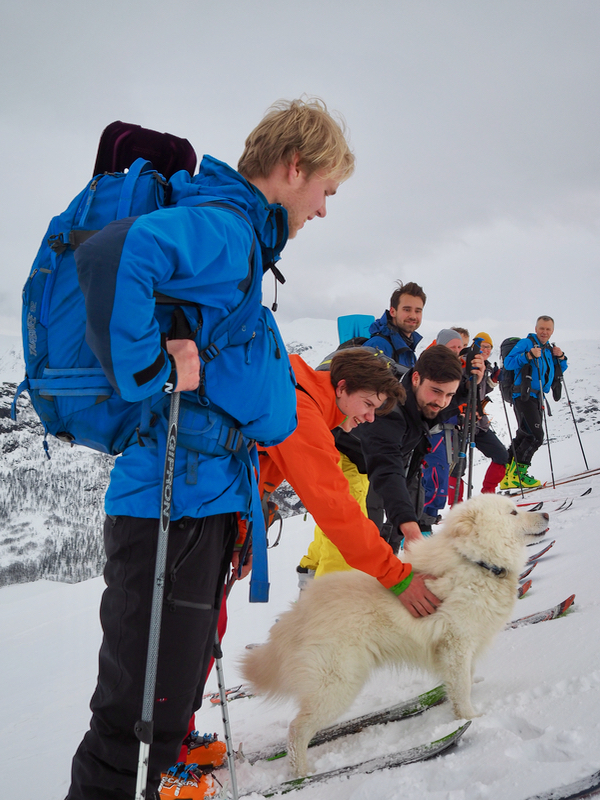 A local dog decided to join us for the climb. We made steady progress, the skiing uphill among the trees was quite easy. The steepest hill, a slope close to 30 degrees, is from 1000 to 1100 meter of elevation. Here, one of the participants decided to wait for us as she felt quite weak. We made the summit around 1300. 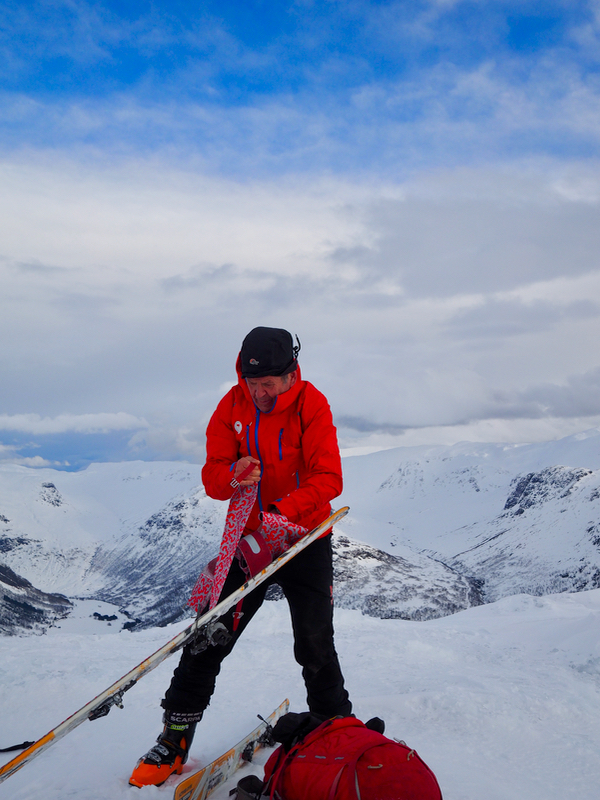 It was a bit windy, we left after roughly 10 minutes and had a nice ski back down to the cars, arriving there around 1400. 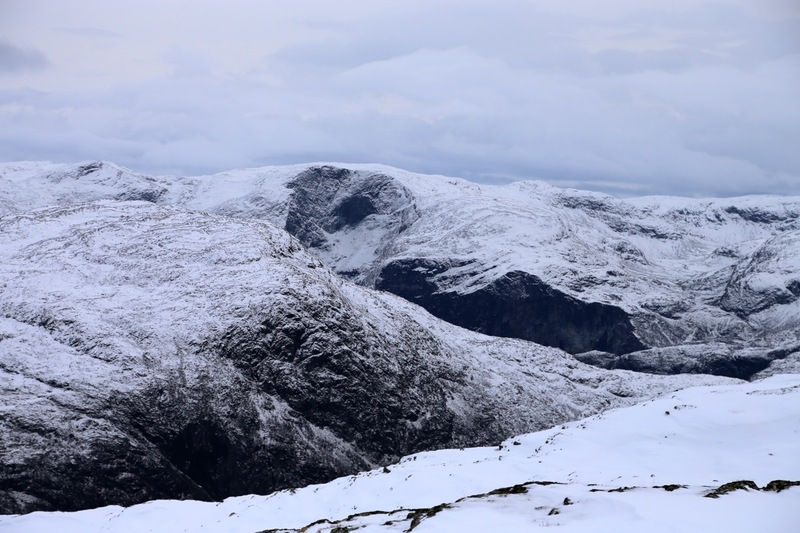 False summit view I, east to Slettedalen. False summit view II, towards Skjerpisnuten, 1480 meter. From the 2017 trip, all photos by Fredrik Brun. The team, having a short break. Removing skins, preparing for a nice ski back down. Fredrik on top, this was his 51st. birthday. Ole, at 16, the youngest participant.